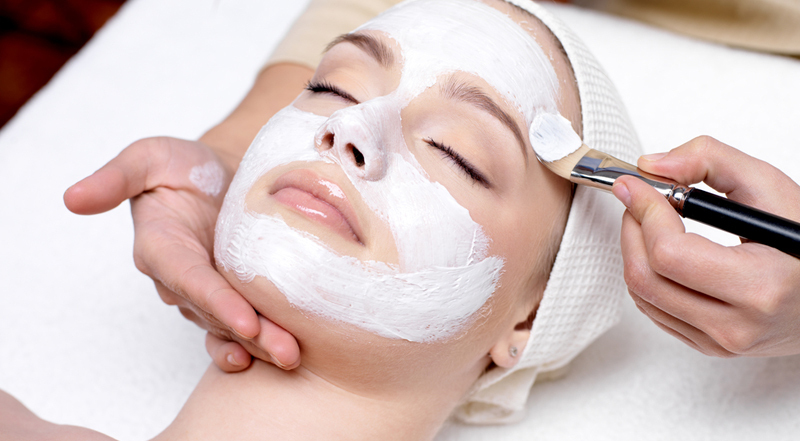 We offer a vast range of facials here at The Beauty Bar. Take some time out & let us take care of you and your skin. Lifting. Toning. Hydrating. Brightening. Uses Microcurrent for lifting + Sonopheresis for product penetration. The ultimate in anti- ageing! This is a combination of our legendary CACI facial plus Environ Facial - please see CACI and Environ tabs if you wish for further information. Collagen Stimulation Therapy™ harnesses the body’s natural powers of healing, to smooth the skin and achieve incredible results. This cutting-edge treatment is especially effective for addressing the visible signs of ageing, as well as acne scarring, slackened skin, stretch marks, uneven skin tone and dilated blood vessels. Our Aesthetic Practitioner has had fantastic results with this therapy and has been practicing this treatments for over 7 years, so you can rest assured knowing that you are in experienced, safe hands. For best results we recommend a course along with taking collagen boosting vitamin supplements. Using home care products before and after the treatment is mandatory.You will see incredible results with this treatment and we strongly recommend the course to see ultimate benefits. Your facial muscles will start to lift and firm up and remember to 'sit' in the same place after receiving the CACI micro current treatments. Muscles receive a work out similar to yoga or Pilates to the face. Fans include J-lo! Microcurrent therapy was originally developed as a medical application to treat facial palsy and muscle tone was restored by applying tiny microcurrent electrical impulses to the affected muscles.Today this proven technology is now available in thousands of aesthetic clinics as a painless cosmetic treatment and is commonly referred to as “facial toning” or “the non surgical face lift”. During each treatment session all 32 facial muscles are gently manipulated and re-educated by a trained therapist using a series of precise movements. Soft cotton tipped wands are used on the face to transmit the microcurrent energy to the facial muscles to restore tone and elasticity.Results are visible after the very first treatment but a course of ten treatments is generally recommended. After a course of CACI facial toning treatments facial contours will look lifted and toned. A monthly top up treatment is recommended to maintain results. Environ facials are 77x More effective than manual facial! As a brand Environ® perform extensive research and development to offer you exceptional skin care products. They strive on integrity and keeping the meaningful promises by offering the most effective skin care range that science permits. Formulated by Dr Des Fernandes, a world-renowned plastic surgeon, the range contains a unique combination of active ingredients to protect and nourish. All Environ facials include Sonopheresis + Iontophoresies for product penetration & Alginate Mask to brighten + relax. Neck and Shoulder massage also included. The unique combination of serums are combined with sound waves and pulses to drive these deep within the skin. By using a penta-peptide serum to focus on frown lines and relax tension in the forehead we are able to achieve dramatic results. Great for dry and dehydrated skin! Using hyaluronic acid - which holds 1000 times its own weight in water and using the environ machine to really penetrate the skins barrier. This will dramatically reduce fine lines caused by dehydration, increase plumpness and bring springiness back in your skin. The treatment uses gentle sound waves to drive a special nutrient packed serum deep into the lower layers of the skin. The formula contains a unique combination of three peptide complexes* which work in synergy to give skin a plumper, more radiant appearance. Your skin will be plumper, radiant with a more youthful appearance after one treatment. Are you looking for a radiance booster and dewy skin? How about to soften lines, improve elasticity, increase hydration? Then this active vitamin facial is for you! Using high levels of active vitamins A, C & E and harnessing sound waves from Environs DF machine, vitamins are literally forced and pushed through the skin painlessly to penetrate the lower levels of the skin, where the vitamins can really get to work and renew the skin from within. Suitable for all skin types & problems: sun-damage, uneven skin tone, pigmentation, premature ageing and dryness. Crystal Clear Microdermabrasion is our clinically proven and celebrated skin resurfacing treatment that offers flawless results for problem skin, pigmentation, lines and wrinkles, scarring and body treatments. In clinical trials, Crystal Clear Microdermabrasion was conclusively proven to dramatically and visibly improve the texture and appearance of the skin, reducing and smoothing lines and wrinkles and producing more beautiful rejuvenated skin. Perfect for sun damage, open pores, dryness and congestion. Cleanse away your skins impurities and relax and unwind with this pampering treat. Receive a relaxing shoulder and neck massage using our own custom essential oil blend when your tailor made mask is applied. Your skin will be throughly hydrated with our products. Perfect for problematic skin! Anti acne fighting products used. Steam and extractions if necessary. Maintain a clearer skin appearance and let us help advise you with full home care to arm you with the knowledge of how to treat this delicate skin. Great for congested, greasy, sluggish skin that's in need of a deep cleanse and a brightening! Steam and extraction tools are used to clear the skin with a creamy, exfoliating mask to leave it super clean and tight. A mini pick me up! Skin is thoroughly cleansed, exfoliated, mask applied and a mini shoulder massage before moisturiser is applied. Pick & Mix Facial Courses! Mix and match facial treatments! We understand committing to a course of particular facials may not be for everyone so our pick and mix treatments allow you to decide and sample the treatments. We recommend Caci as a course of 10 treatments to see full results.